Naples is located in southern Italy. It sits on the aptly-titled Bay of Naples. The historic center is a UNESCO World Heritage Site. Being a sea-side city, a visitor must go see the Harbor Sannazzaro, located in the Mergellina Bay. There are many sea-side attractions, such as the Villa Comunale with its Zoological Station and aquarium. 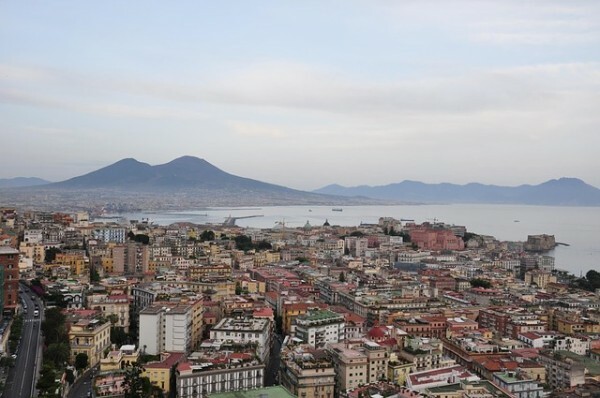 One can also go up the Posillipo Hill, where you can visit its Park, where visitors can take in the whole coast. Be sure to take notice of the numerous freshwater fountains throughout Naples, almost none of them are in their original place – they have all been moved. The Castel Sant’Elmo is visible from almost everywhere in the city and was built in 1329. It has been a prison, a residence, and an army drill area. Castel dell’Ovo is an ancient stronghold built in front of the harbor. It was built on a Roman construction. The name (translated into English is “Egg Castle”) comes from a legend that the poet Virgil buried a magic egg, which will bring bad luck to the city if broken. St. Gennaro’s Catacombs are located under the city, the entrance of which is located at the side of the Church of St. Paul Major. They date back to 2 AD. 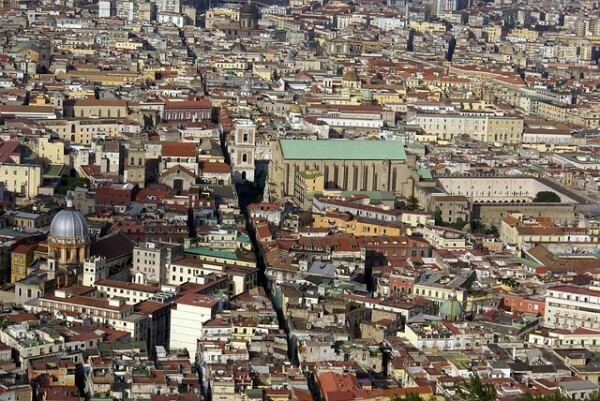 There are many piazzas (or squares) to visit while in Naples. The Piazza Plebiscito is the “heart” of Naples, and the biggest piazza in the city. Here, the Royal Palace and the church of San Francesco di Paola are found. The Royal Palace was built in the eighteenth century and the church was built in the nineteenth. Two more buildings, the Palazzo Salerno and the Palazza della Prefettura, two buildings from 1775 and 1825. The Piazza della Prefettura has one of the oldest cafes, the Café Gambrinus, on the ground floor. A few other things, such as the equestrian monuments and the Fountain of the Immacolatella are also here. In the Piazza San Domenico Maggiore is the church of the same name, with a spire dedicated to the end of the plague, the Palace of Antonelli Petrucci, the Palace of the Dukes of Casacalenda and the Palazzo Sansevero. The Piazza del Municipio (or Town Hall Square) has the imposing Castel Nuovo, the Merchant Theatre, the Church of San Giacomo degli Spagnoli and the Town Hall Palace. The Castel Nuovo or Maschio Angioino has five large towers and a triumphal arch. It was built in 1279 as the royal residence. Inside is the Palatine Chapel (which is an excellent example of Gothic art), the Civic Museum and a bronze door. The Piazza Dante is dedicated to the poet Dante Alighieri, with a statue of him in the center. In this piazza are the Church of San Domenico Soriano, the convent of Santa Maria del Caravaggio and the Palace of Ruffo di Bagnara. There are many museums, such as the St. Martin’s Museum, National Archaeological Museum, the National Ceramic Museum, the Filangieri Museum, the National Gallery, among others.